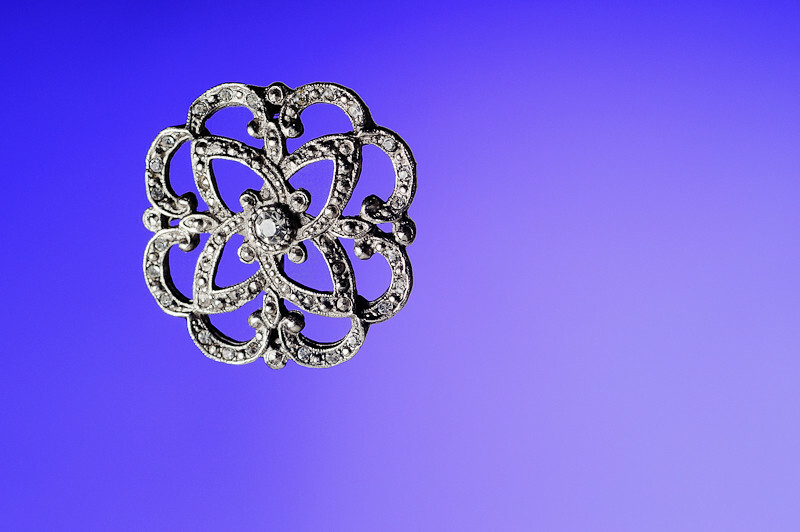 Continuing with this week’s “Jewelry” theme, here is a simple brooch. It may be simple but it does have a special meaning in our family. No, it is not a family heirloom that has been past down through generations, well not yet anyway. The brooch was worn by Jamie on our wedding day and now both of our girls want to wear it on their wedding day as well and I think that is very cool. After all, family heirlooms have to start somewhere.